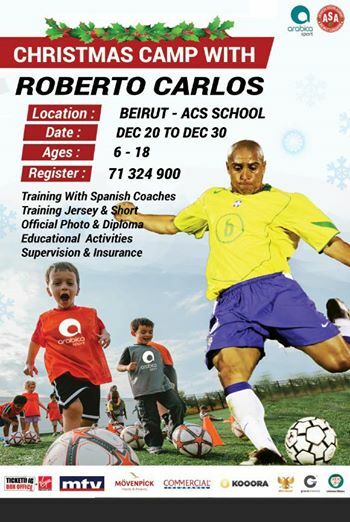 Roberto Carlos camp will be on ACS field. Registration Application form available at ASA office (next to Riyadi), kit for camp will be available ahead of the starting date, every age group has their own kit that will be available a week ahead of the 20th. Roberto arrives on the 20th, kids who enroll to the camp (keep Recu) that will allow them to enter the field and have photo with him. 2 Spanish coach, 2 ASA coach, 2 monitors/ assistant and a Nurse will be on the field. The Spanish coaches report to Roberto daily about the camp and every player. According to the reports and their feedback the kids get a diploma that they have attended Roberto Carlos Camp.